The History of Pro AV Part 2: AV Integration Experts Need Support! The AV integration industry could use some more support from manufacturers, according to Alan Brawn in the second part of his history of pro AV. In my previous article on the history of pro AV integration, I told the evolutionary tale of the commercial integrator community and provided a rationale of why design/build integrators are needed now perhaps more than ever. The central theme of my argument was that with the overriding presence of the internet and the ease of clients ordering at the touch of a button, increases risk. The concern is that making uniformed and ill-advised decisions that may not be in their best interest can result in consequences to clean up after later. The old phrase “look before you leap” tells us that without all the appropriate information with which to decide upon a course of action, it becomes easier to make mistakes. Some of these mistakes can be quite costly. It is the task of the commercial integrator to uncover problems and help identify, clarify, and in some cases amplify a client’s needs, thus mitigating risks, and in the end, delivering a system that works as designed. A key component of making all the pieces fit properly together is the support provided by manufacturers whose products are designed and integrated into pro AV systems. This part of our tale describes how the pro AV manufacturer’s support of the commercial integrator has changed over the years and what is needed today. In the beginning, manufacturers (both large and small) worked directly with the commercial AV integration community. All the big companies had factory sales people that called on integrators, trained them on current and new products, and even made sales calls with them. They provided application engineering as well as demo support. They were the source of information and support and on occasion even acted as cheer leaders urging the dealer onward and upward. In many cases these were true partnerships, some of which have stood the test of time and still exist today. At the turn of the century, the manufacturer/integrator relationship began to change. This can be traced to the maturing of technologies and precipitated a need for change in our business models. Over the years, many companies grew by introducing truly disruptive products that could demand premium prices, but today we reside in an era of incremental improvements, and as product categories begin to reach a commodity status, we have seen a predictable decline in prices. 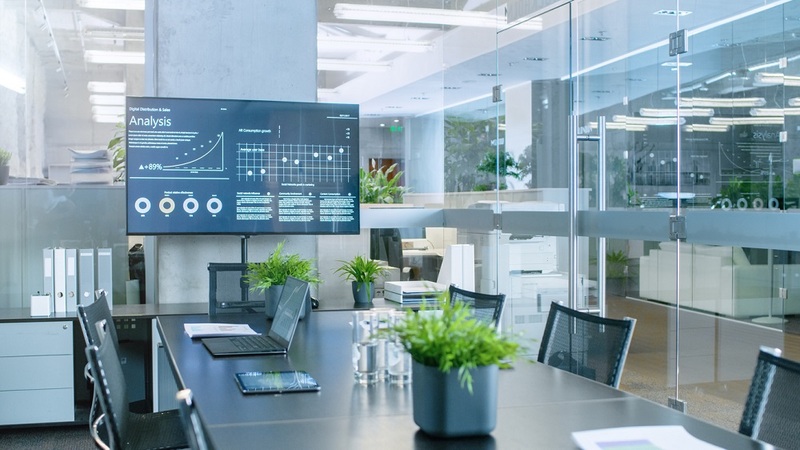 It is a fact of life that manufacturers and AV integration firms alike must sell more to make the same amount of money they historically had enjoyed. This change in business models has resulted in a change in the high level of support that we used to depend on. Today, even large manufacturers can no longer afford the hands-on, direct service that our industry enjoyed in the 80s and 90s. Companies that do have an outside “sales force” tend to use them for demand generation to help drive sales to the appropriate sales channels. The market “pie” overall is still growing, but the real battle is for increased market share percentages, hence the focus on overall demand. Smaller manufacturers tend to use a network of independent reps in regions throughout the country but even with this seemingly more cost- effective approach, it is insufficient to call on and even pretend to serve the 5,000 AV integration firms out there. What we have seen over the last decade is the migration of the manufacturer direct to dealer model to one where the manufacturers sells to the distributor and they in turn sell to the dealer. This new business model migration is where the challenges reside. The integrator still needs support from the manufacturer, but working through the distributor model can be frustrating for them. For many on both sides it is unknown territory. The traditional distributor model is reactive in nature, primarily focused on providing efficient order fulfillment with little apparent support, at least in the way that manufacturers used to support their dealers directly. In fairness to distributors, their business model has historically been based on low margins, with profits fed by run rates (high volume). What will be required of manufacturers and distributors in tandem is to find a “sweet spot,” where the distributor can assume some of the former support responsibilities that were inherent in the manufacturer direct to dealer model. 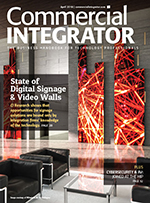 Manufacturers will have to insure increased profitability for the distributor and they in turn will have to increase their support of AV integration pros. As relatively easy as this sounds, arriving at the “sweet spot” is more complex. The concept of support is front of mind with all the major distributors but there still seems to be somewhat of a disconnect in what that fully entails. Manufacturers will have to insure increased profitability for the distributor and they in turn will have to increase their support of the commercial integrators. They do realize that they carry similar products and just as it is unusual for manufacturers to have a truly disruptive product at least for any period of time, it is just as unusual for a distributor to have something that is exclusive to them. Some are coming to the realization that appearing all the same at best impedes their progress and at worst is the death bell to improving their market share. The keyword of hope/wisdom for them is differentiation. Most are taking steps in the right direction, but obviously some will stand out from the crowd. The good news in the distributor to dealer model is that we are in the process of not only seeing an escalation of pre-sale service support, but also there is a burgeoning competition to see who can “out- service” the others. Distributors are ramping up their technical support staffs. Manufacturers are funding product expert “heads” inside a distributor. Services beyond all the hardware offerings are proliferating right before our very eyes. The bad news is that this is taking time, and finding qualified people to fill these vital service slots is not a slam dunk. 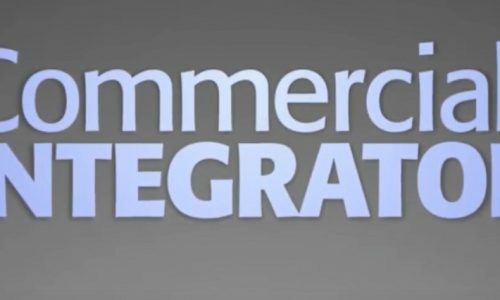 What we can say is that the commercial AV integration industry was founded on the concept of service and support beyond the intrinsic value of a few disparate pieces of hardware. The sum of a system is greater than its parts, but it is made up of parts. It is the design, function, and servicing of those parts and how they work together that makes a system viable. Although there has been a migration to a new business model for the sales channel, the need for support by manufacturers is as important as it has ever been, and that function is now increasingly being taken up by distributors. Your next job may be one of finding that good and willing distributor partner to work with. Overtime on this may be needed, but worth the effort.